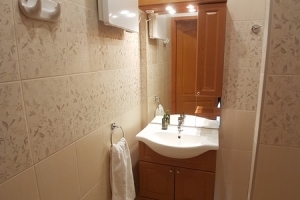 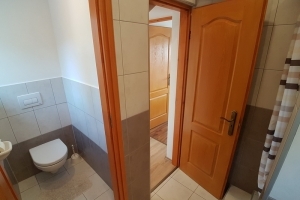 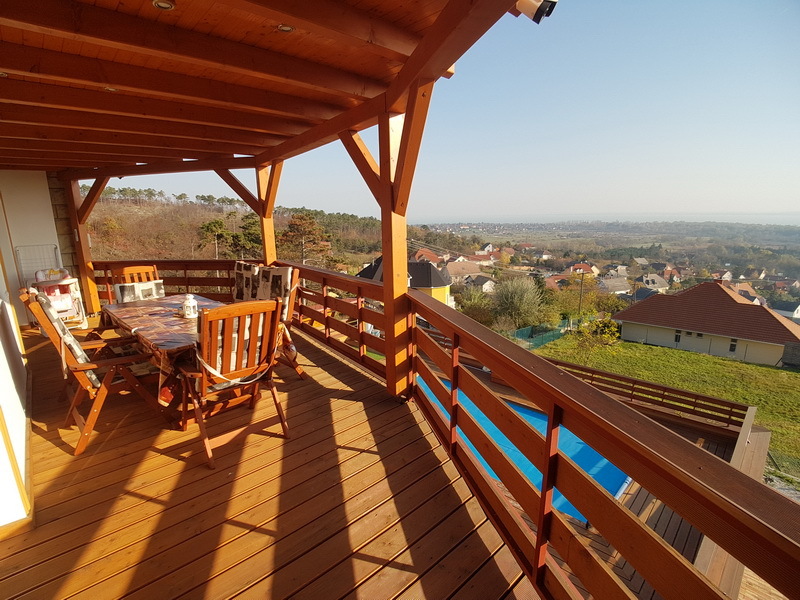 Tastefully decorated house with 8 bedrooms and private spa area with seasonal pool 7 x 3,5 x 1,5 m(depending on agreement and weather dependent from 20.04 to 10.10.) 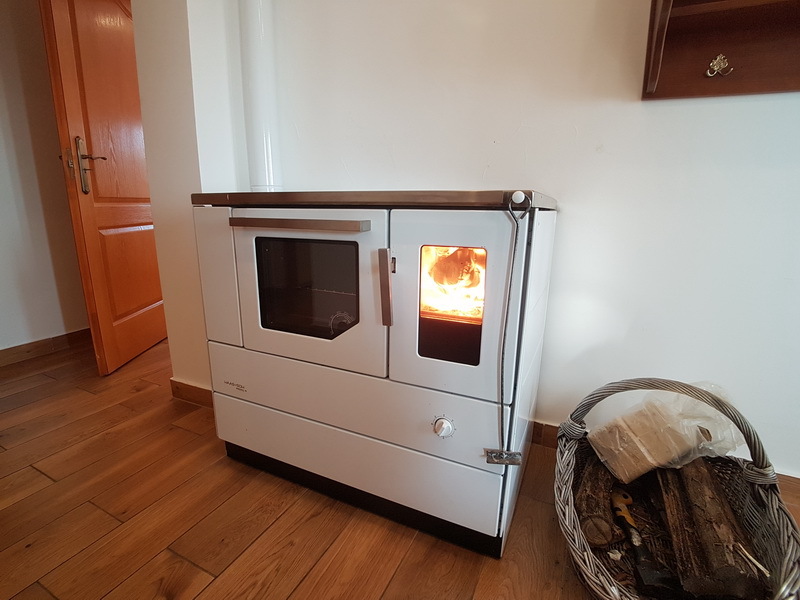 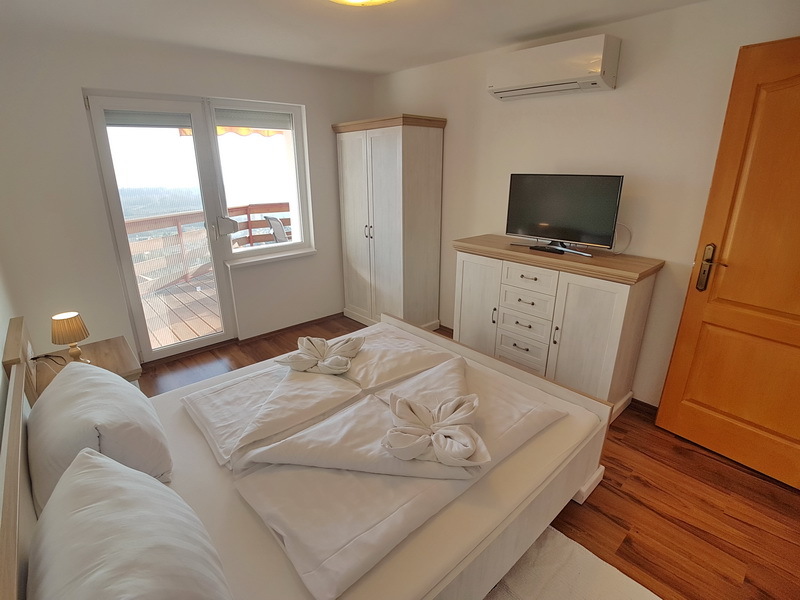 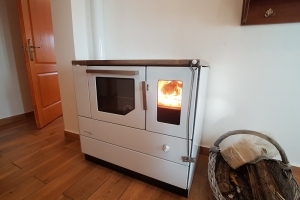 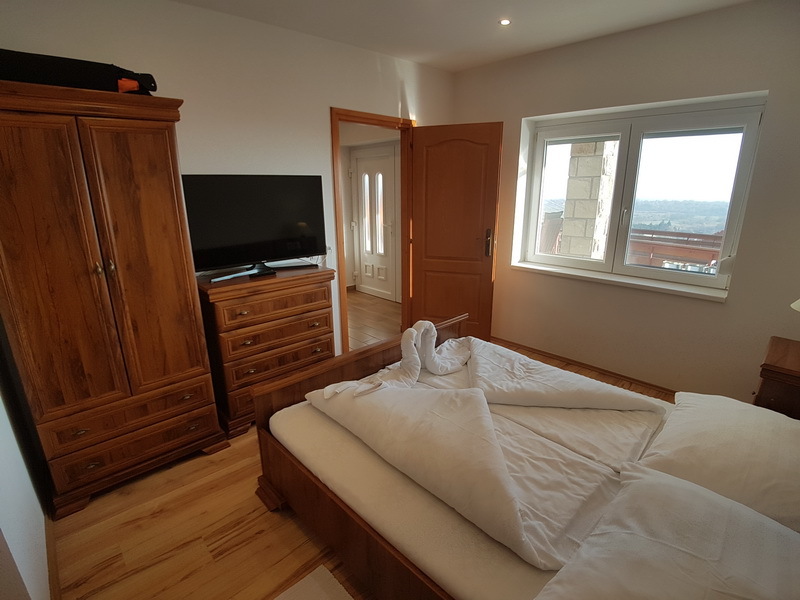 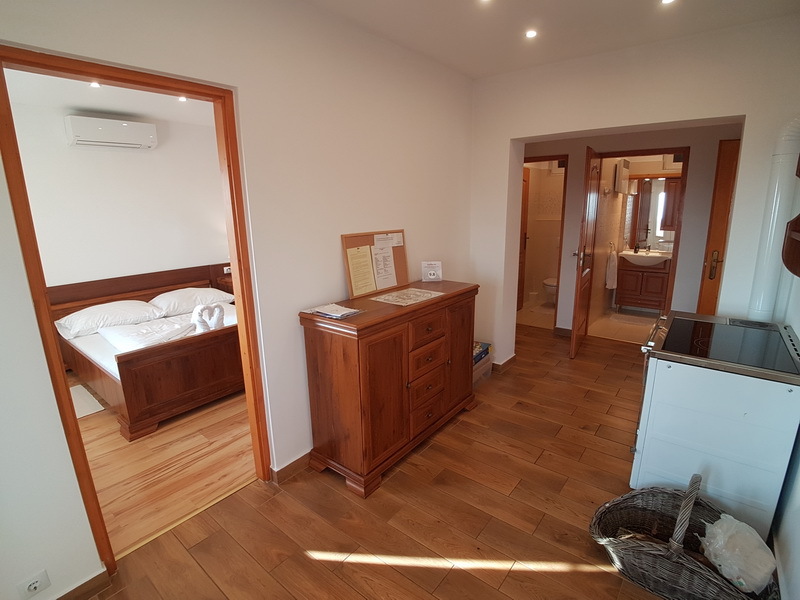 jacuzzi and sauna both with Tv and you have from the whole house and garden beautiful view of Lake Balaton and on a hill with a church. 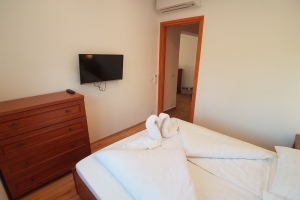 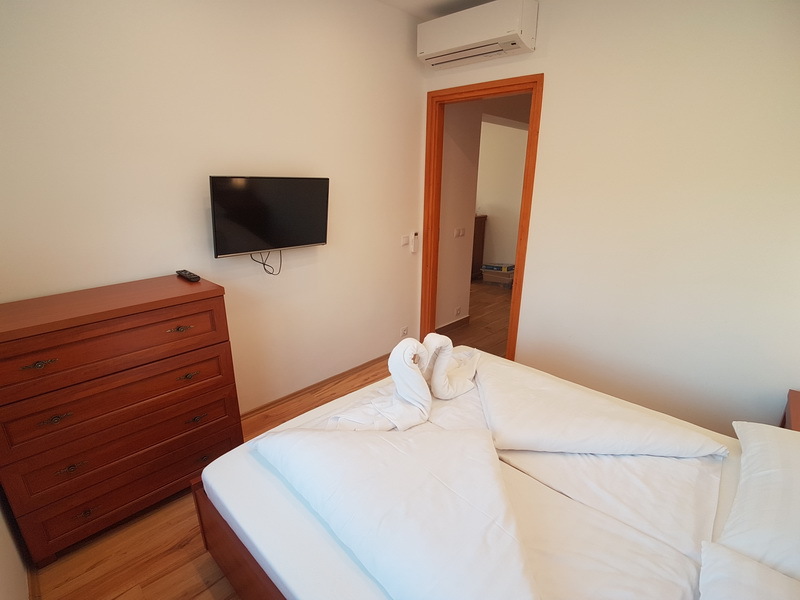 All bedrooms have smart tv’s and all TVs are connected to a multimedia center (free movies, music, other shows). 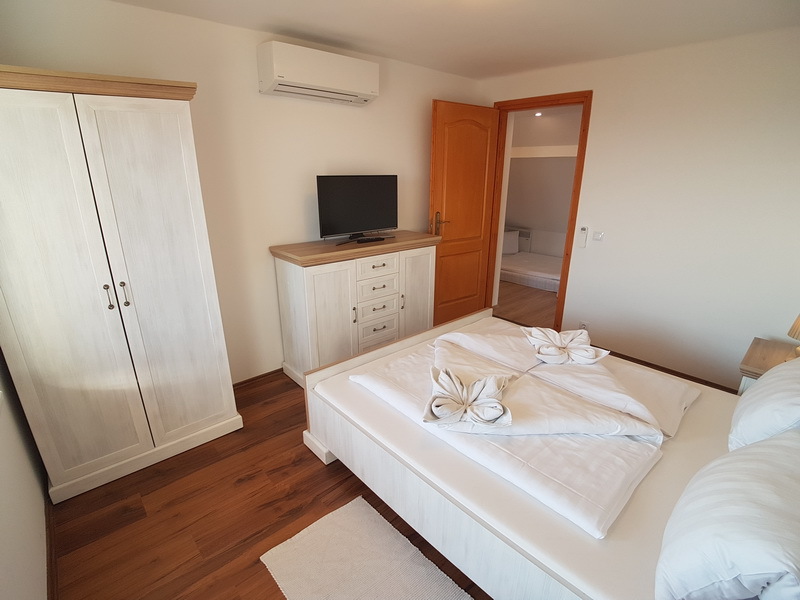 For small children on each floor is travel cot and high chair available, also in the garden is a slide, swing and sandpit. 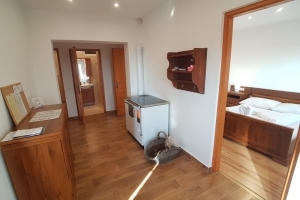 The whole house has free wifi internet, and parking is available in the yard. 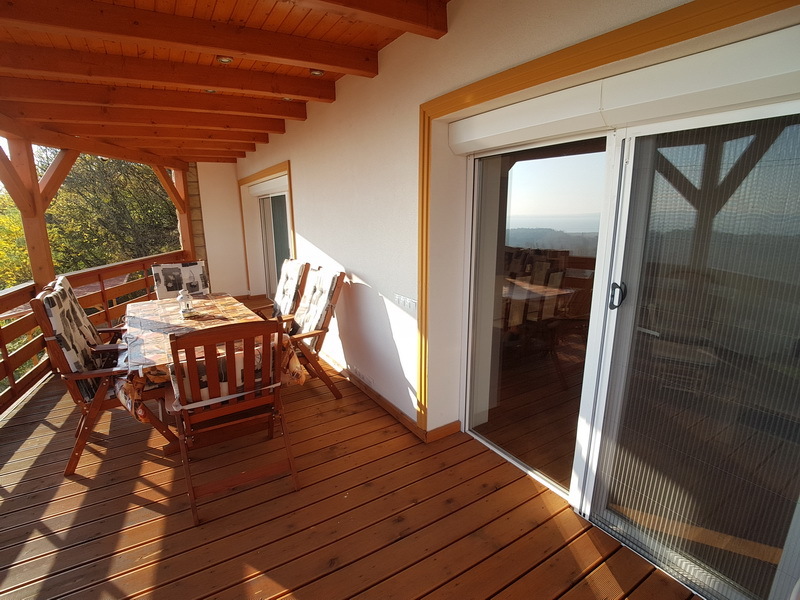 The property is not fenced every side so we take dogs for the renters own responsibility. 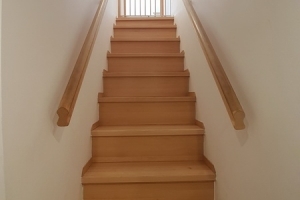 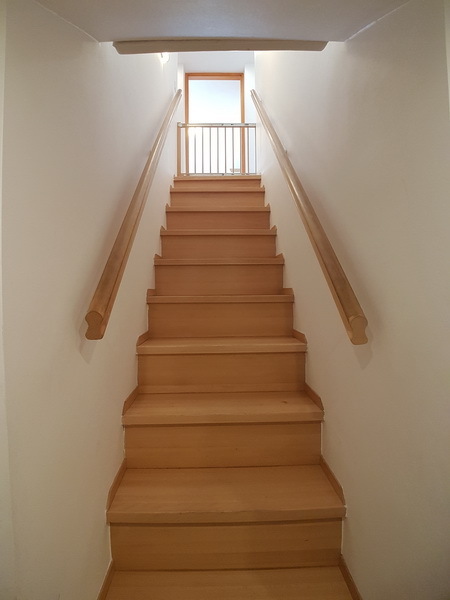 Due to the location of the house and the acoustics of the area, the house is not ideal for events and lighthearted events, these are prohibited. 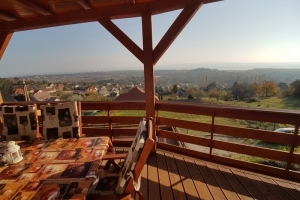 The owner does not live on the property, the whole house is used by a group. 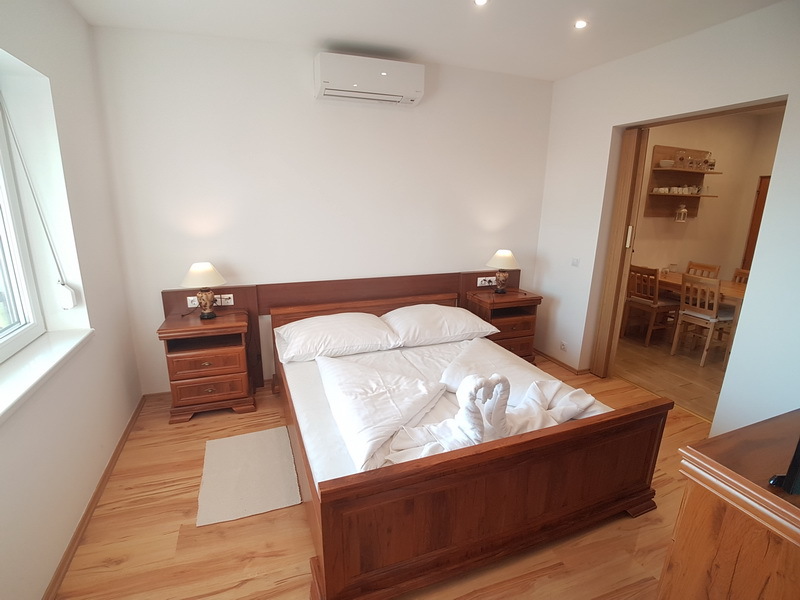 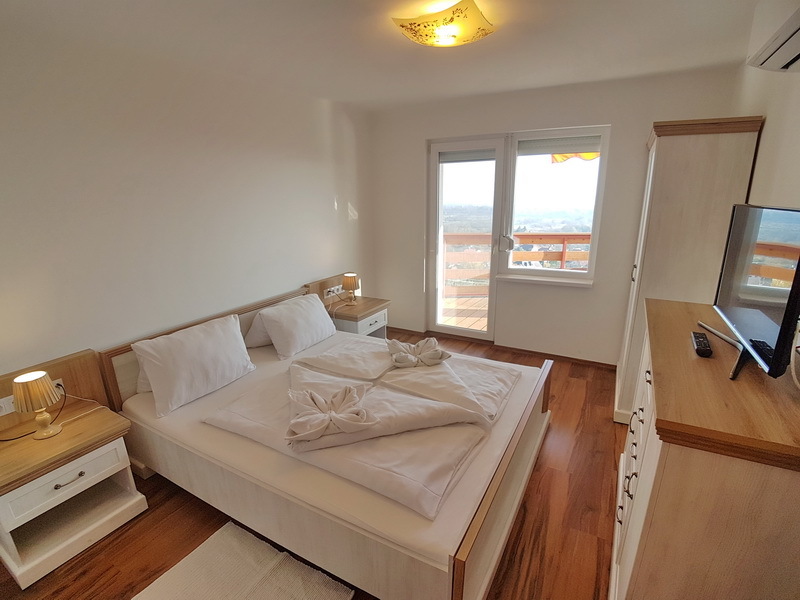 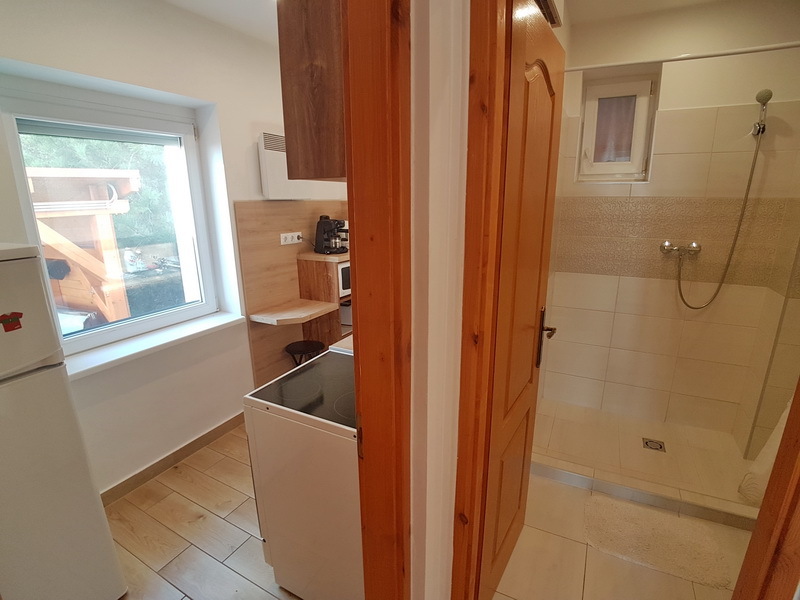 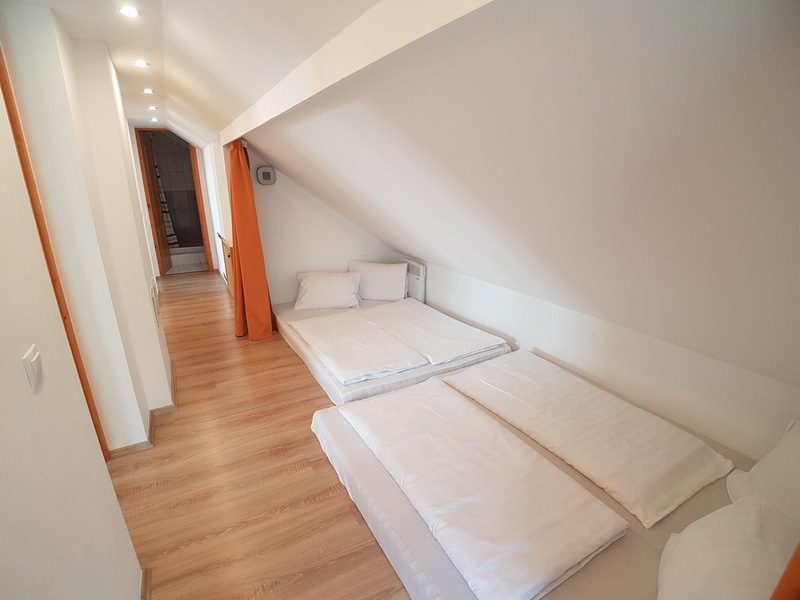 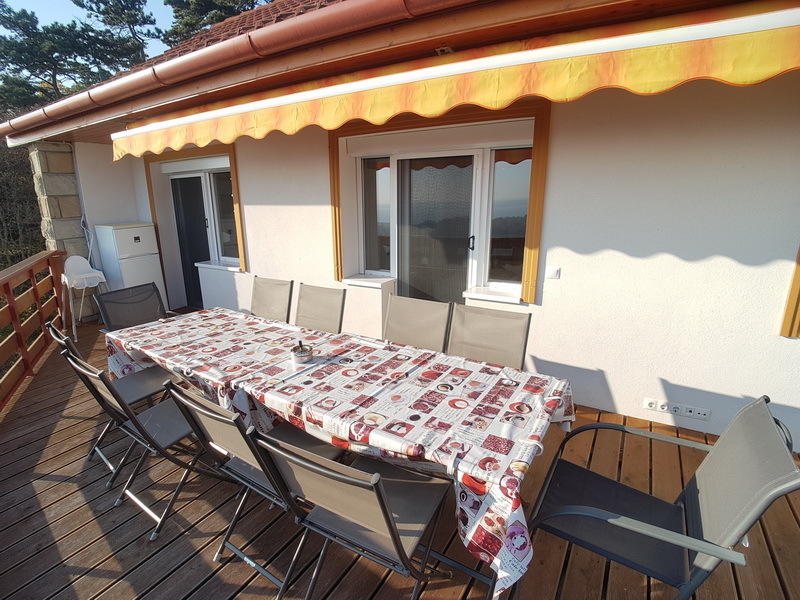 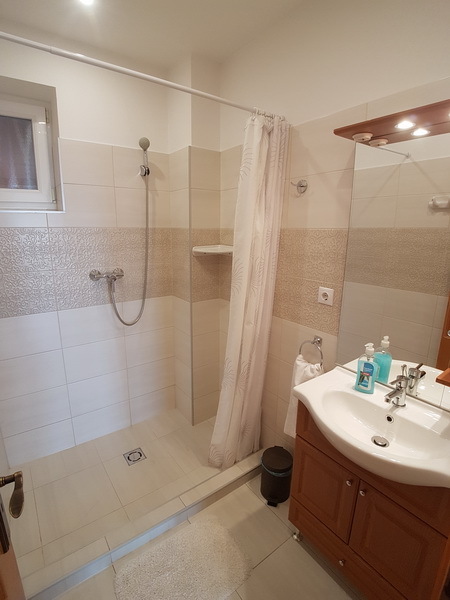 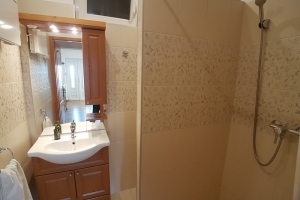 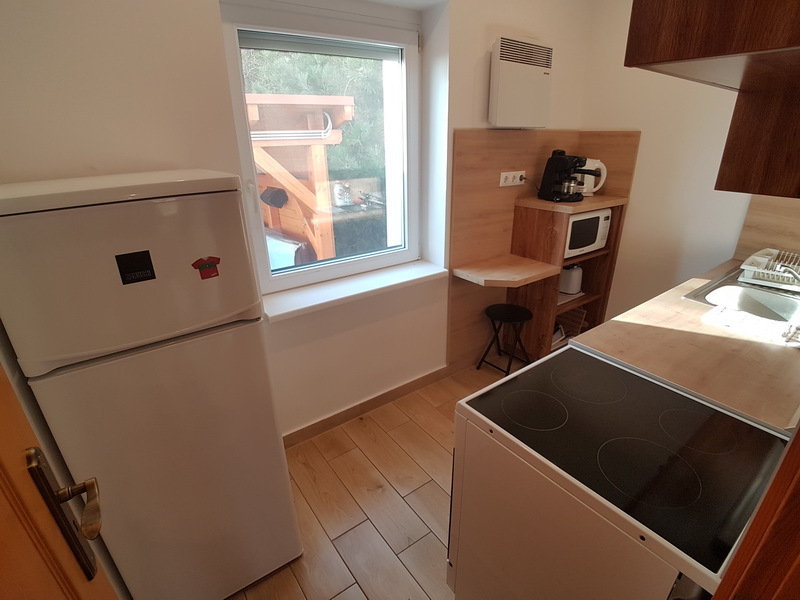 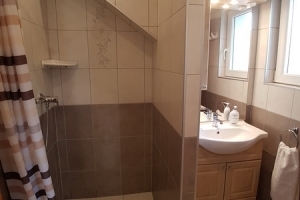 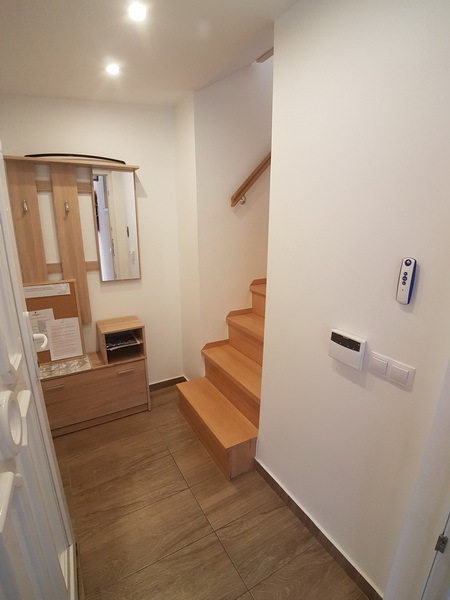 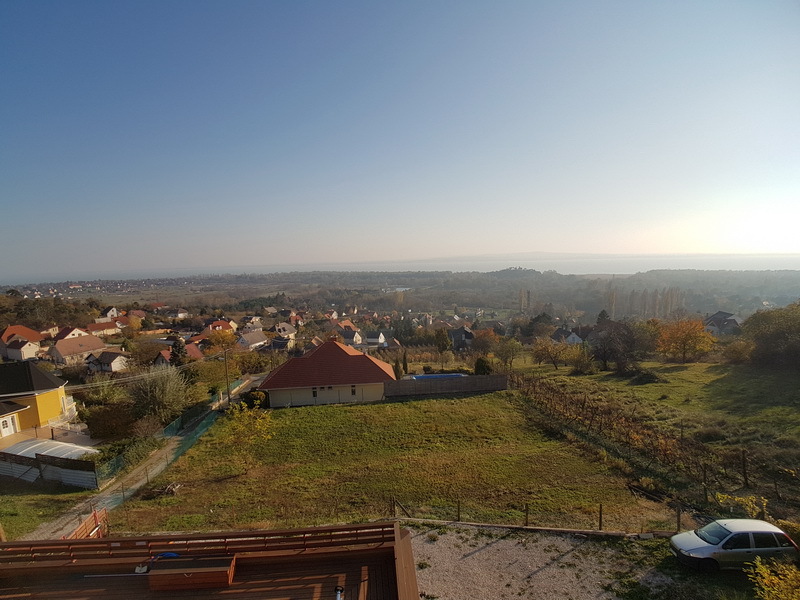 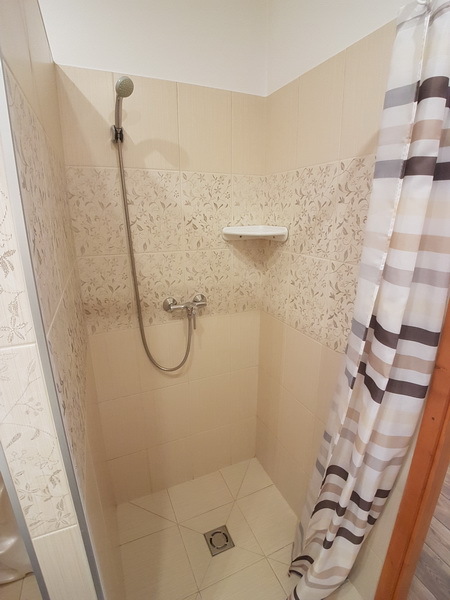 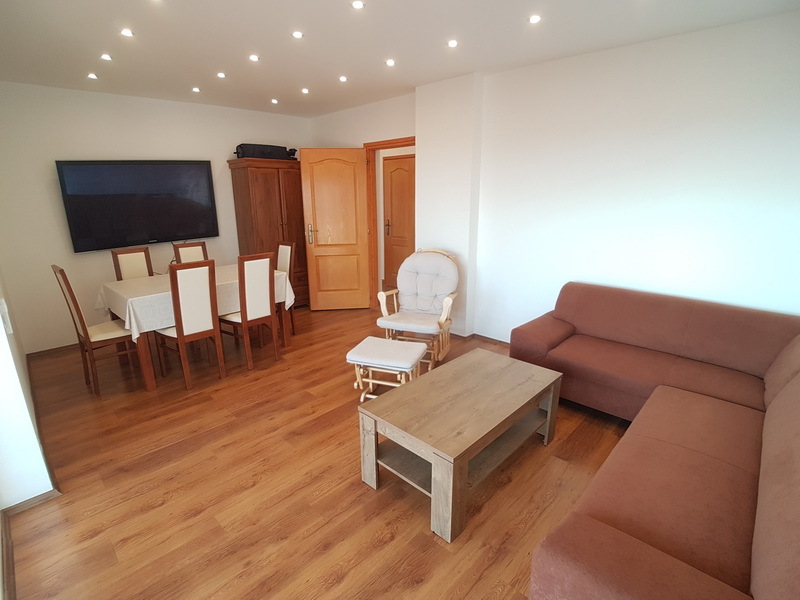 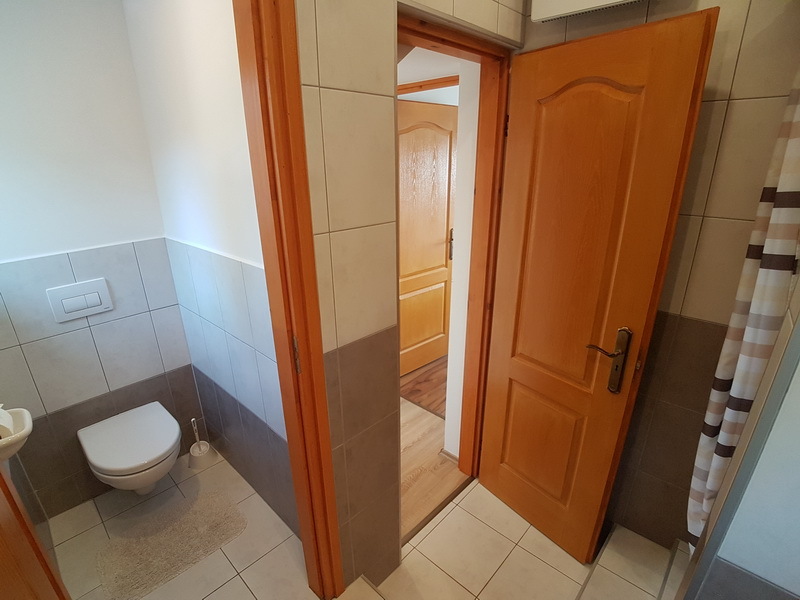 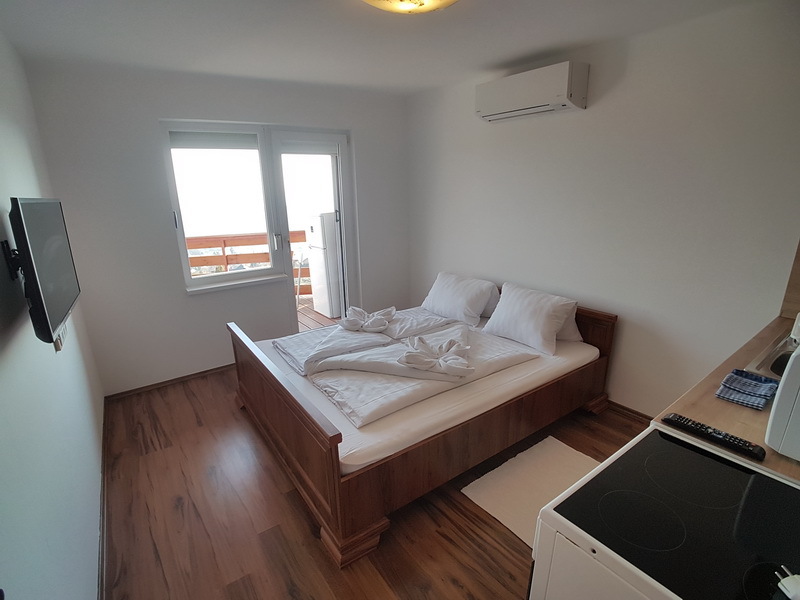 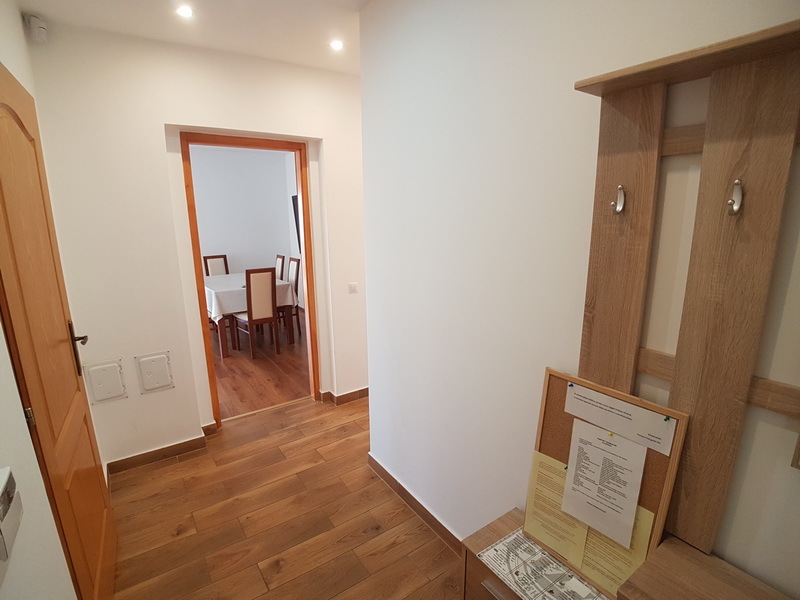 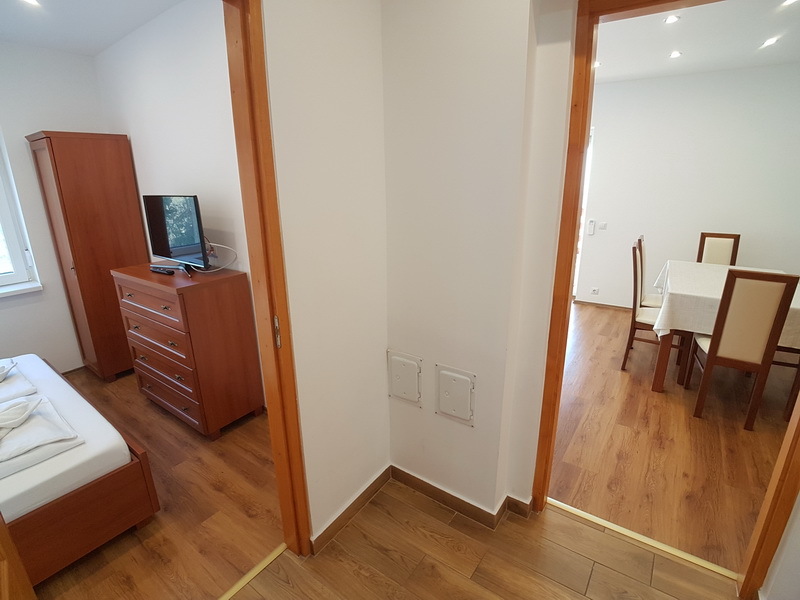 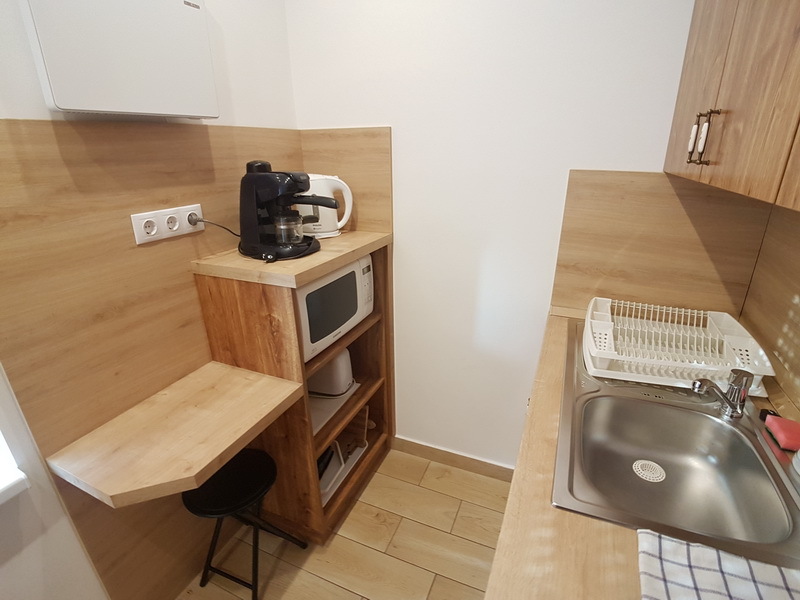 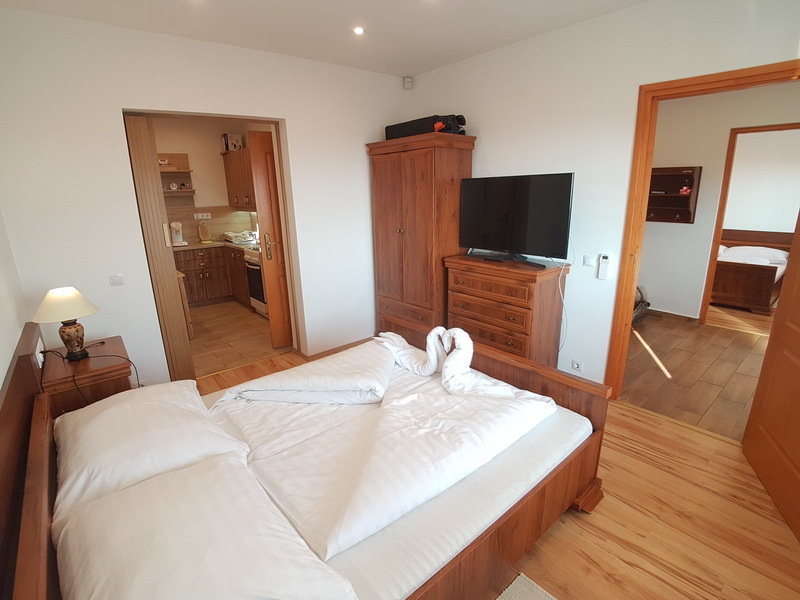 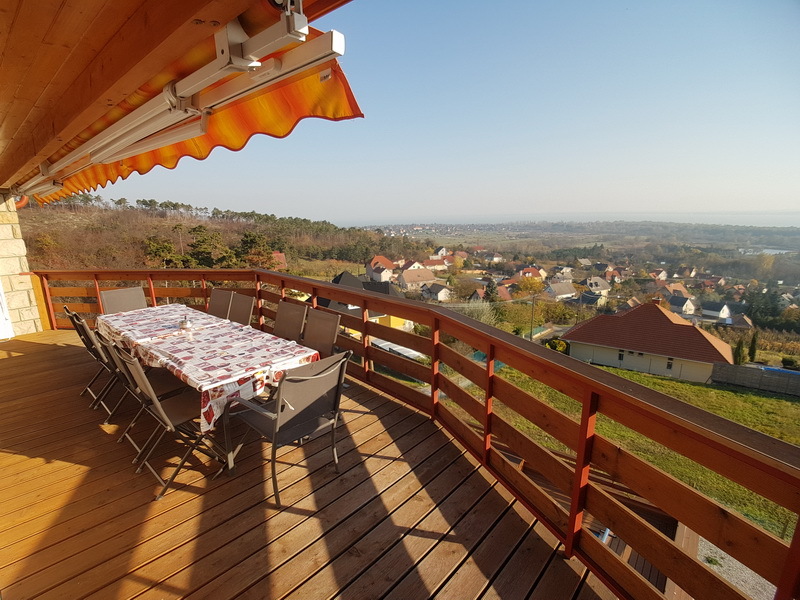 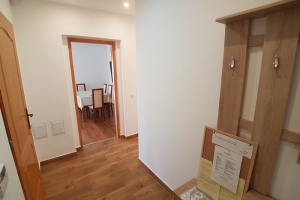 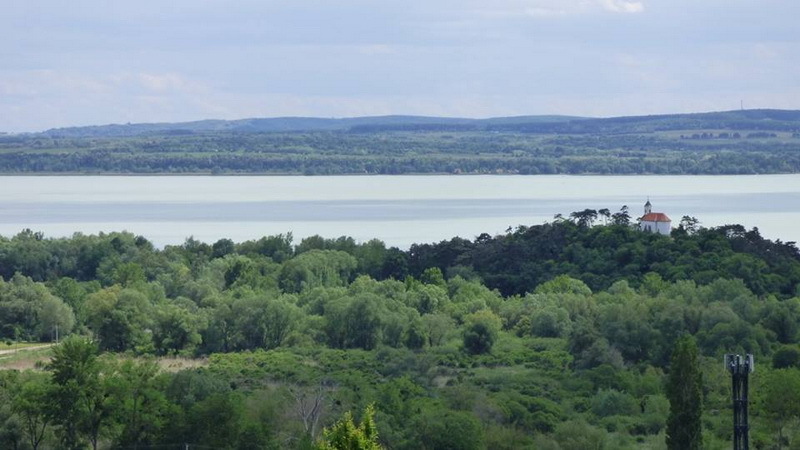 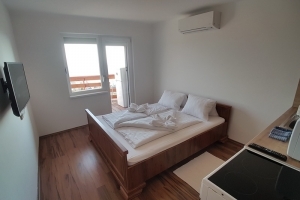 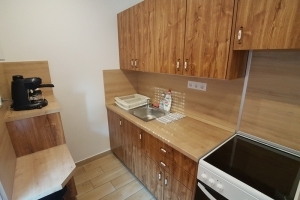 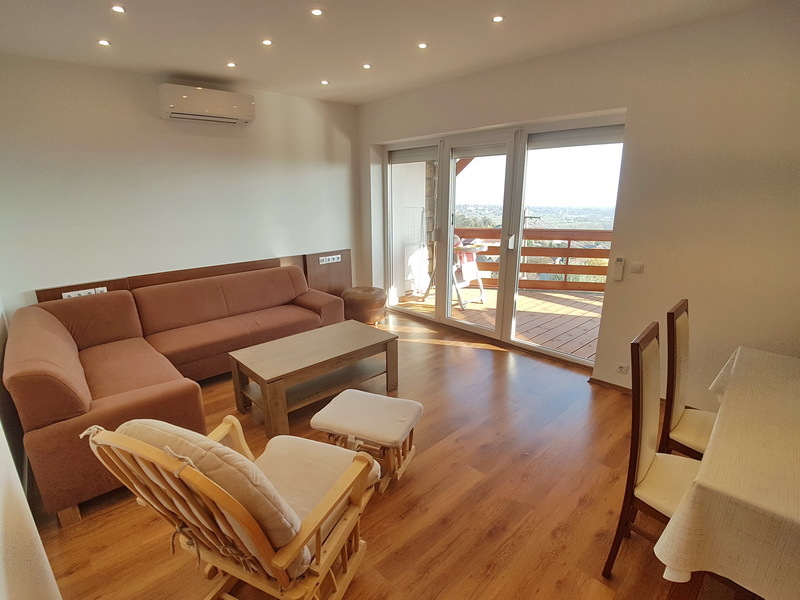 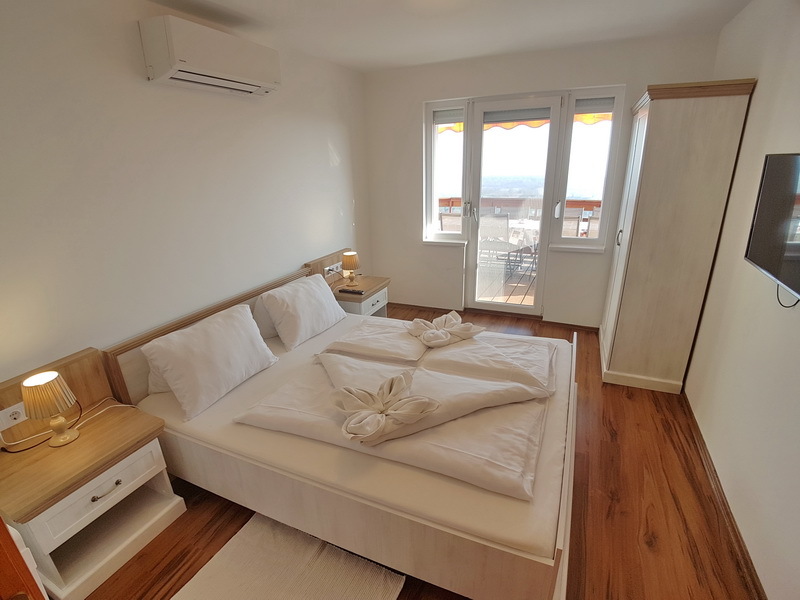 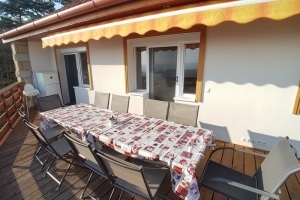 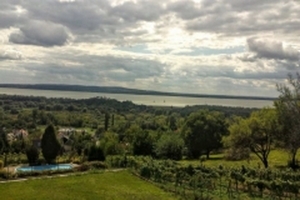 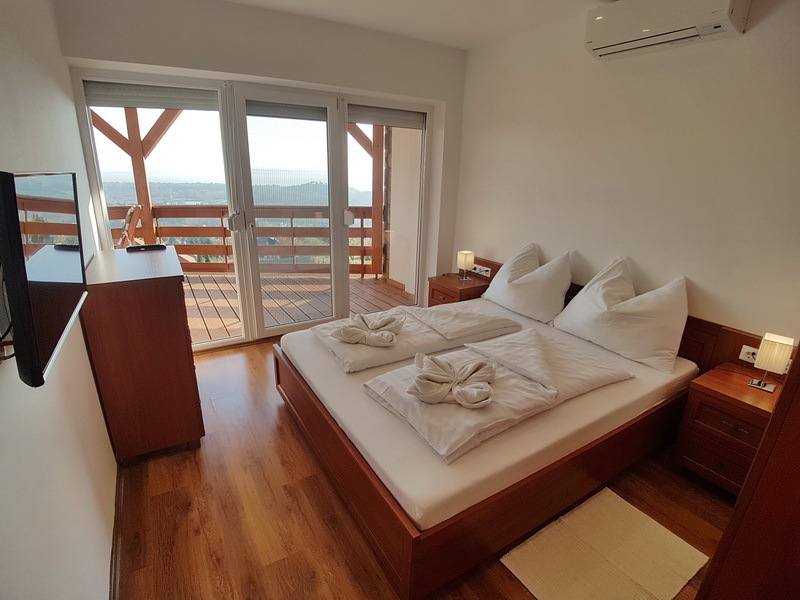 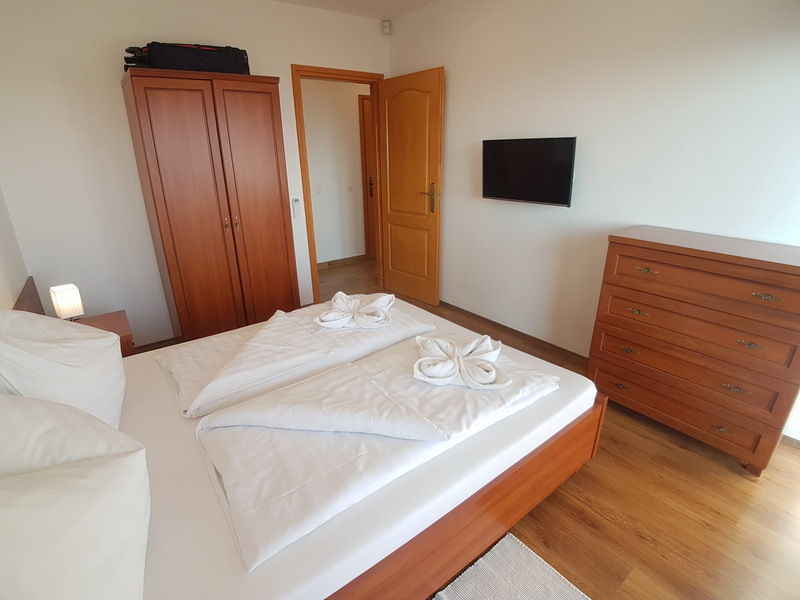 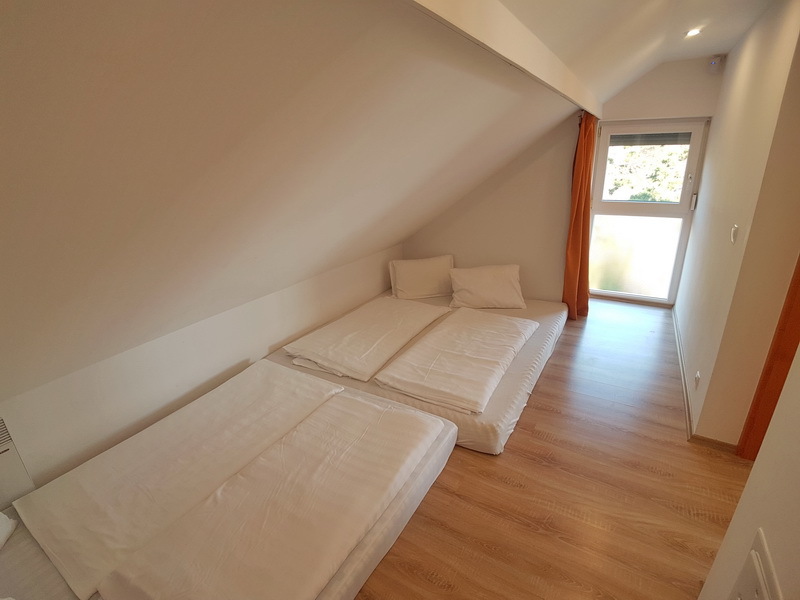 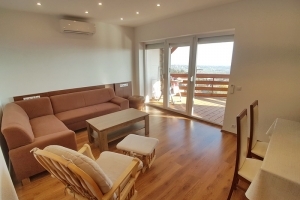 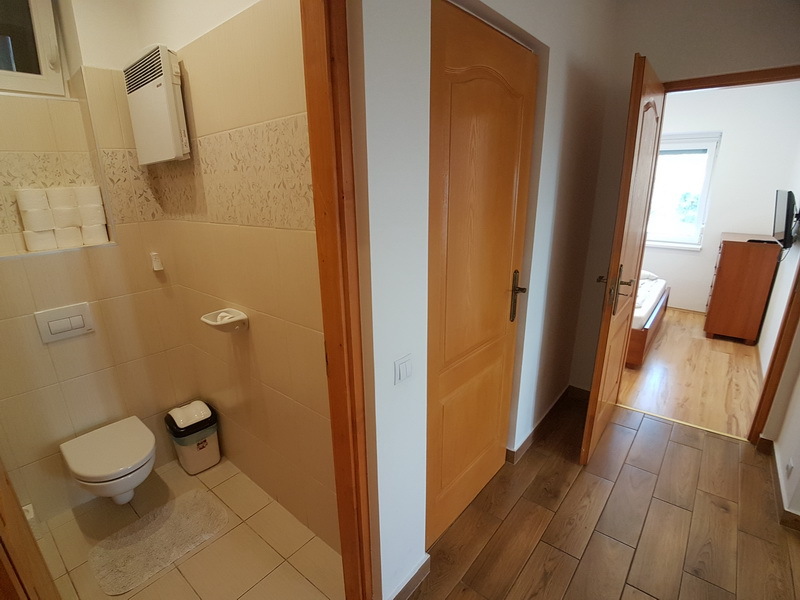 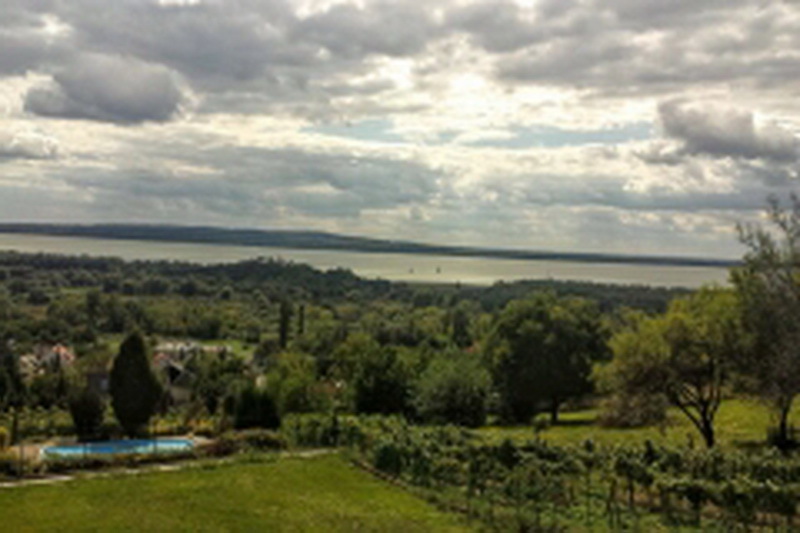 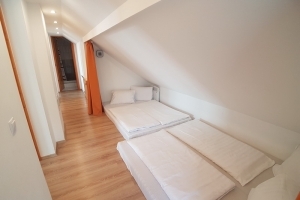 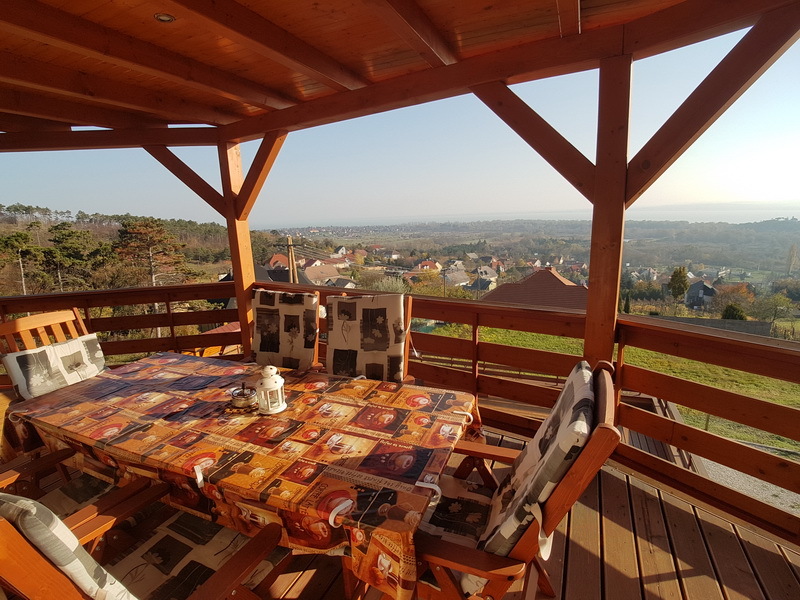 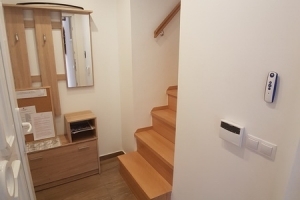 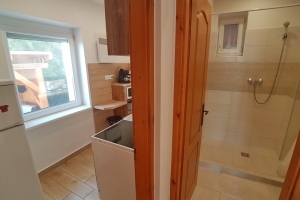 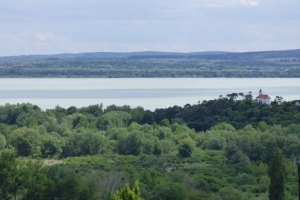 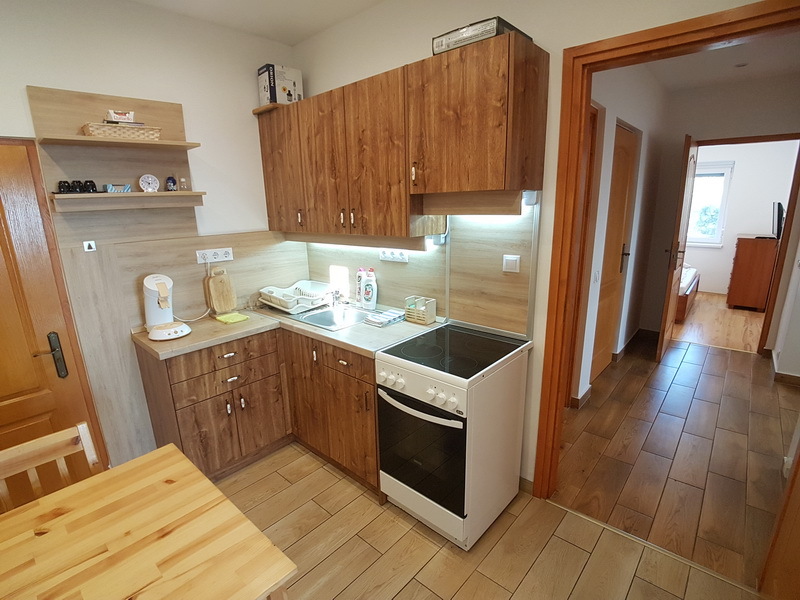 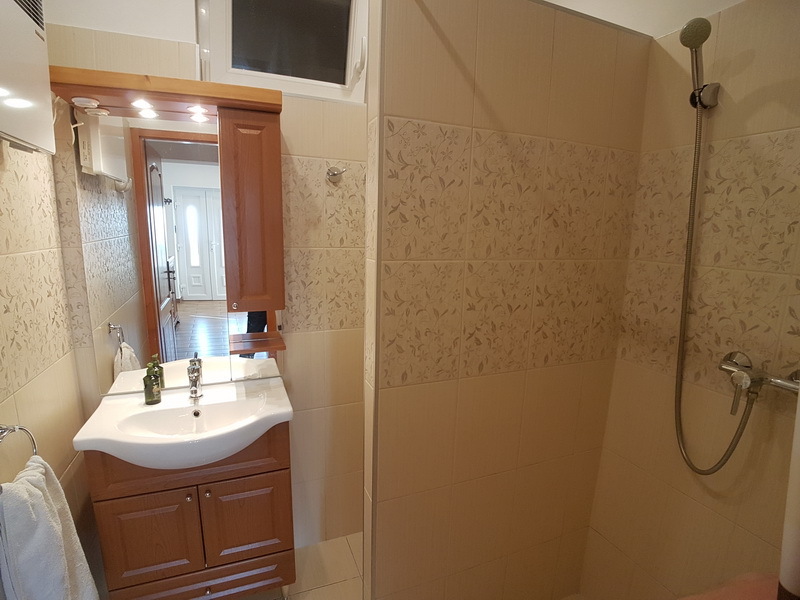 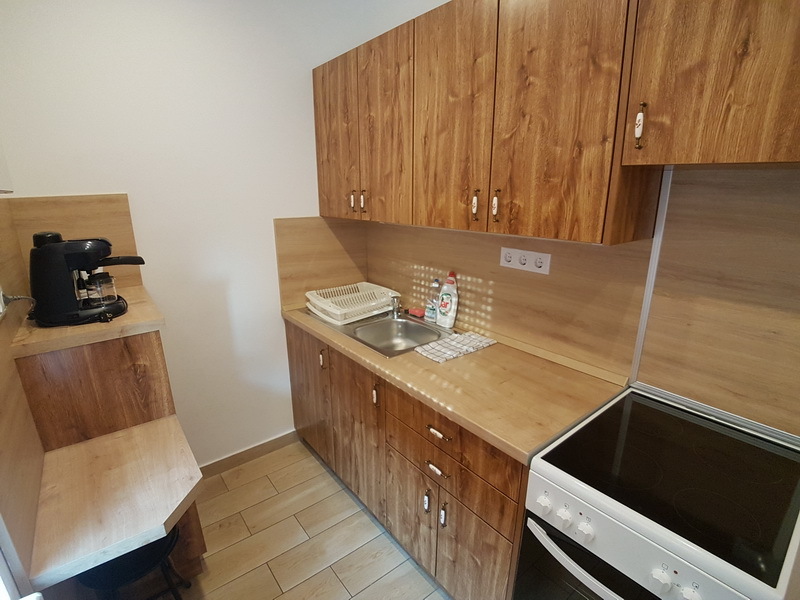 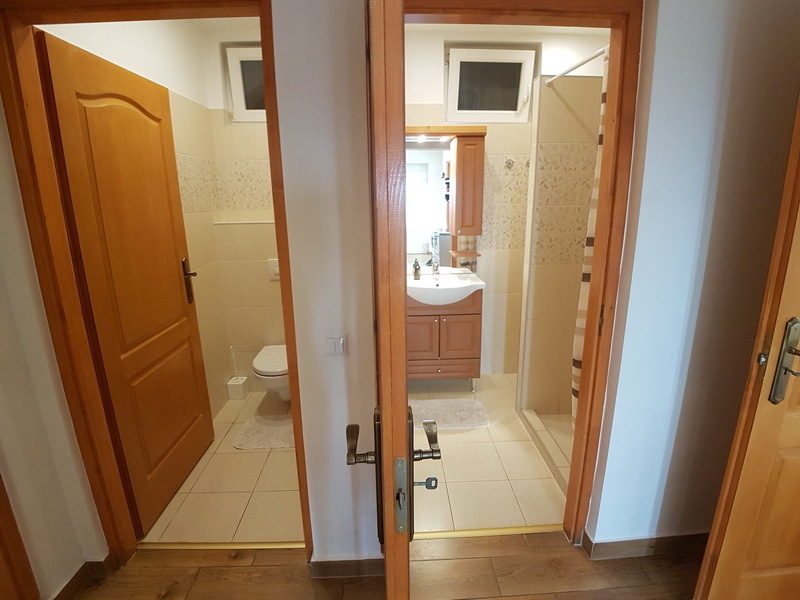 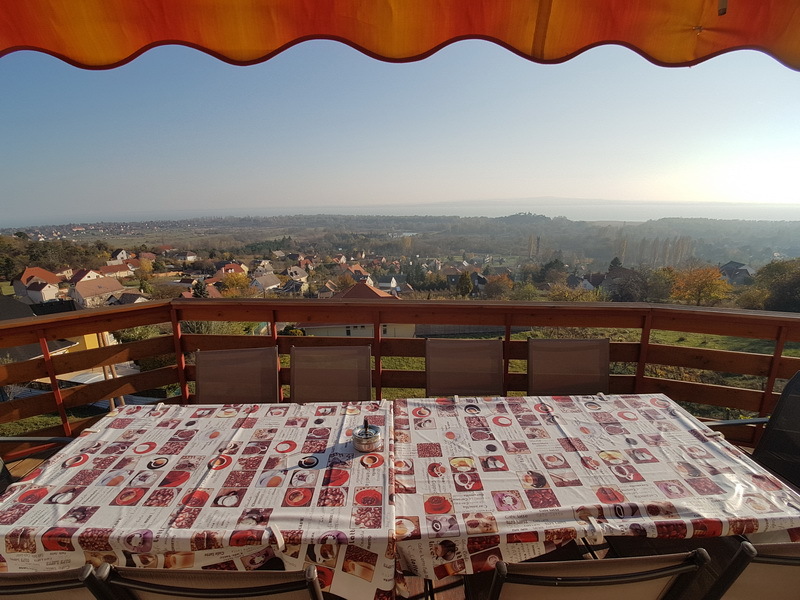 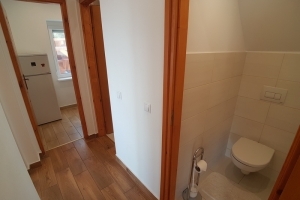 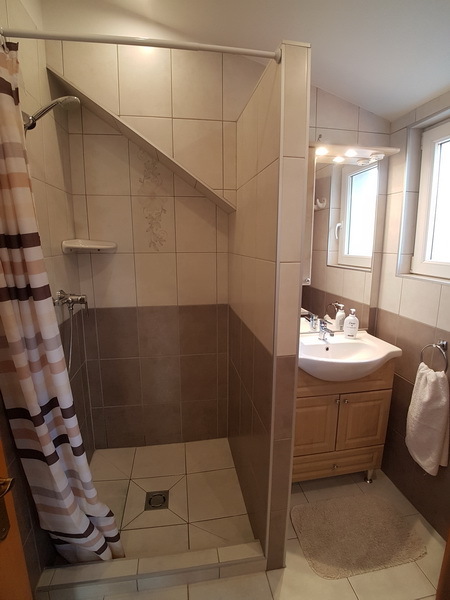 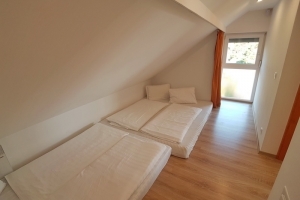 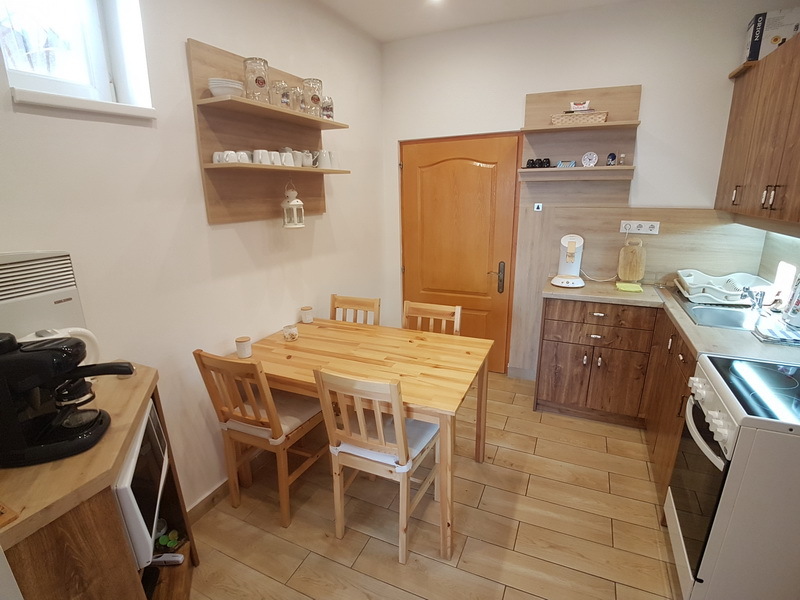 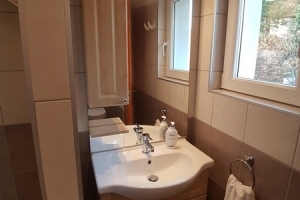 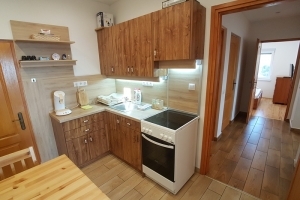 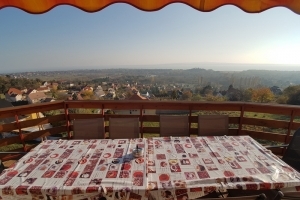 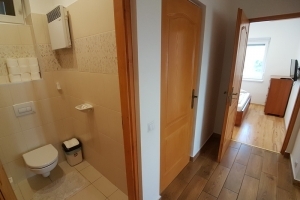 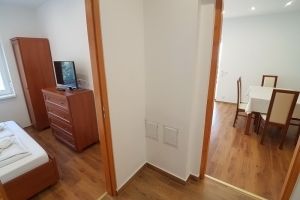 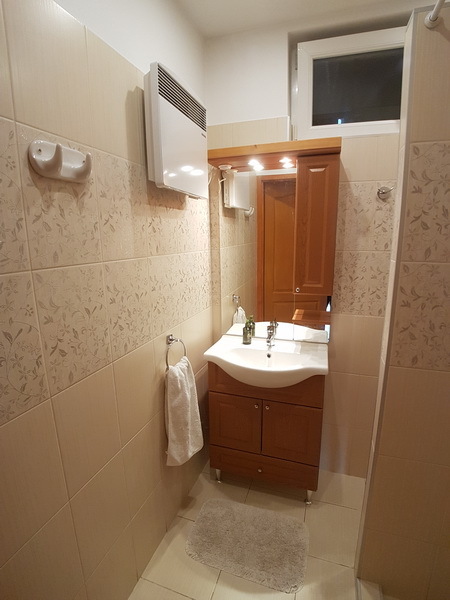 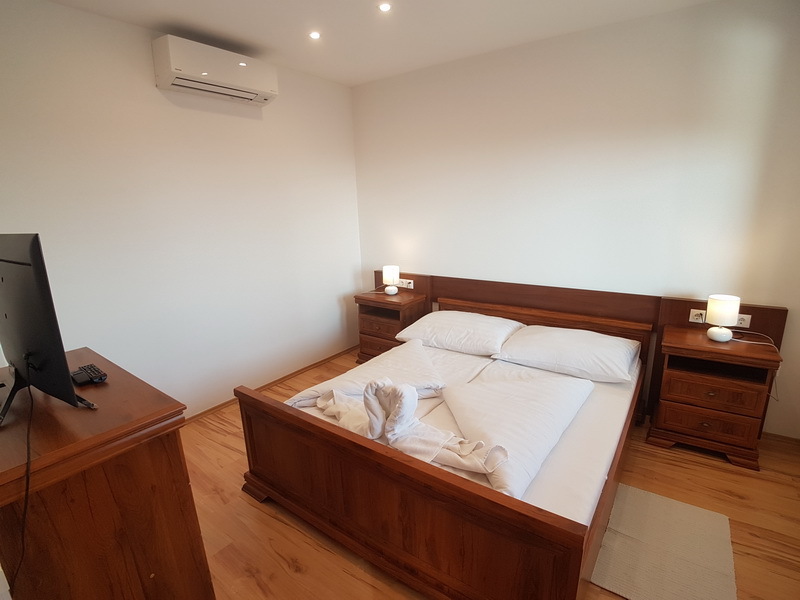 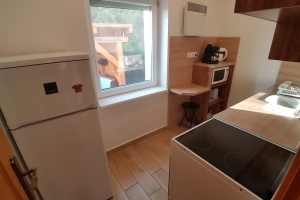 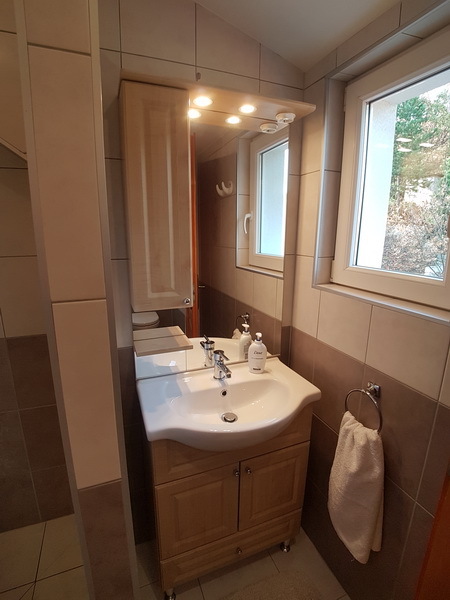 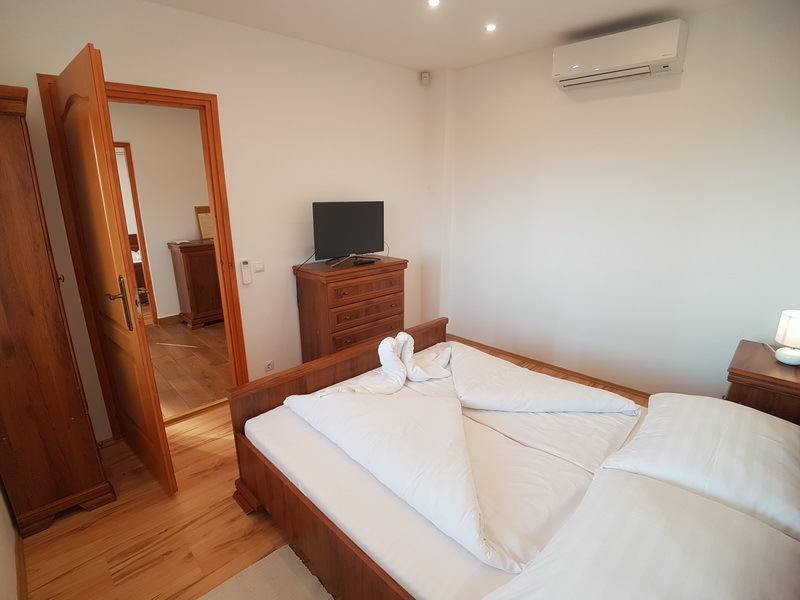 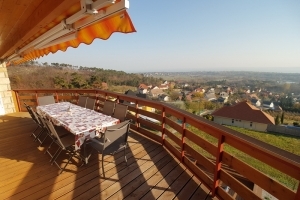 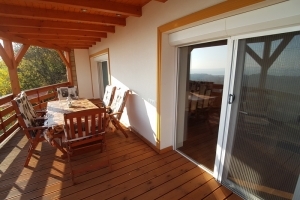 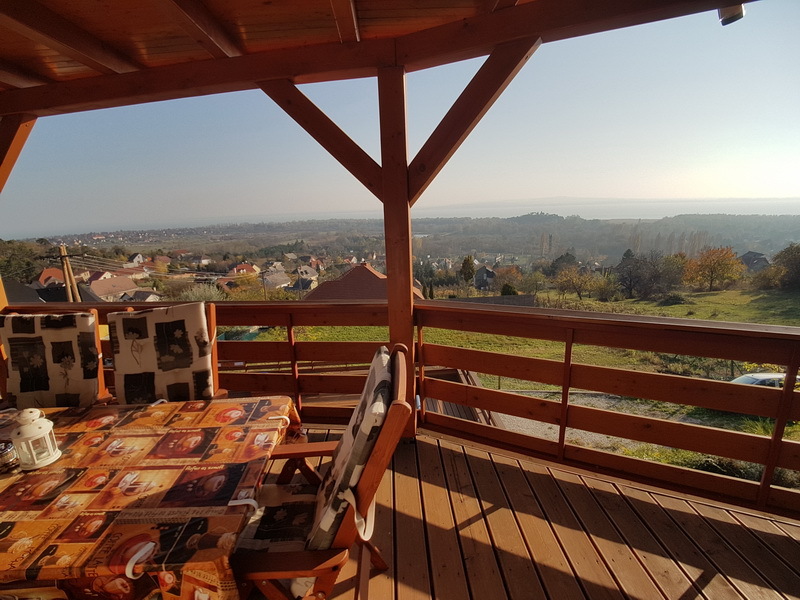 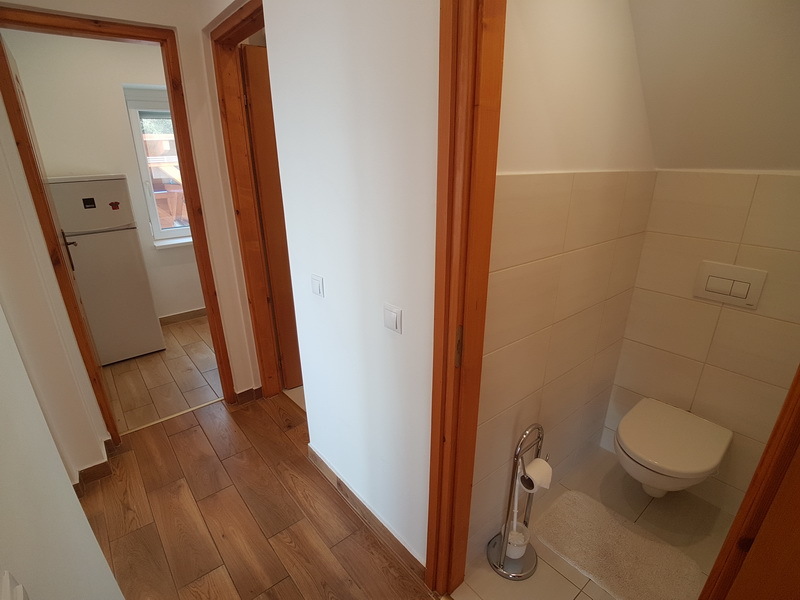 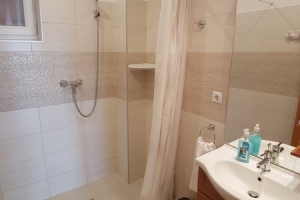 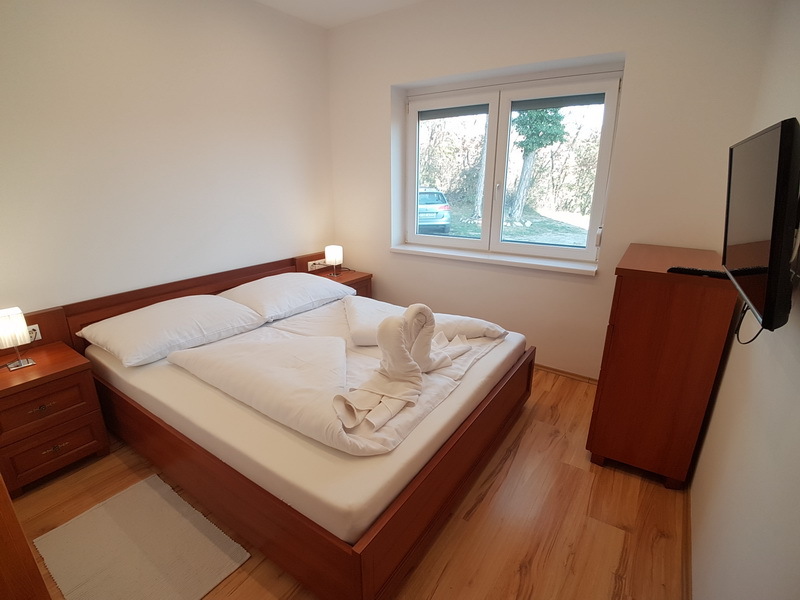 Ground floor: 3 double bedrooms, kitchen with dining area, storage room with fridge and washing machine, bathroom with shower, toilet, covered terrace with Tv and view of Lake Balaton. 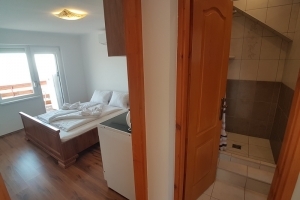 Is somebody living in the house / on the site? 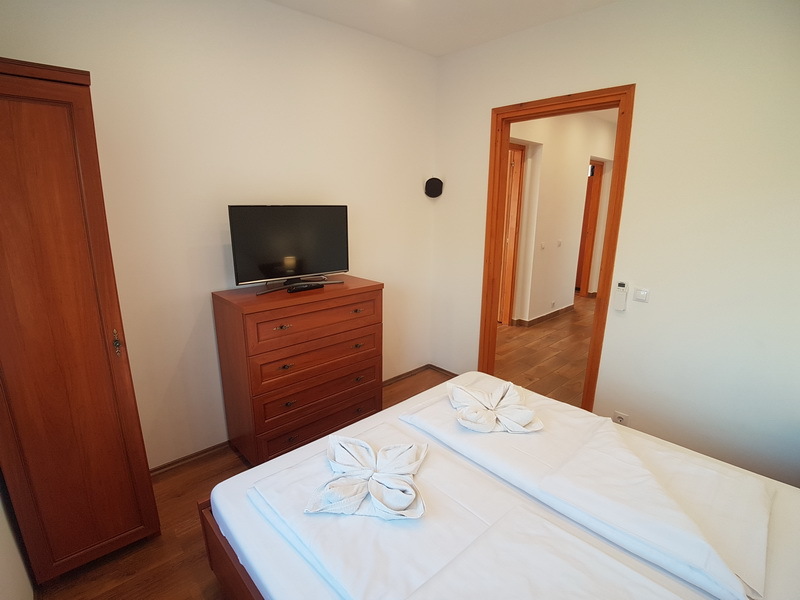 These prices are correct at time of going to print (Prices will not vary from time of booking). 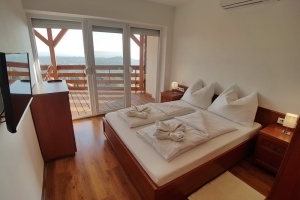 We ask 20% administrations costs to secure your booking. 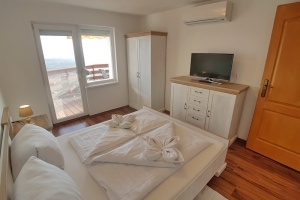 The balance of the cost of the holiday will be payable in cash on your arrival minus the administration cost. 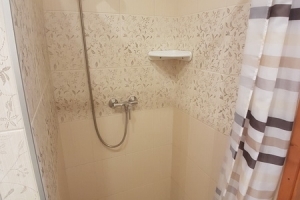 The price includes water, electricity, bedclothes for 14 days, and usage of wellness services. We welcome pets by appointment (only at your own rick). 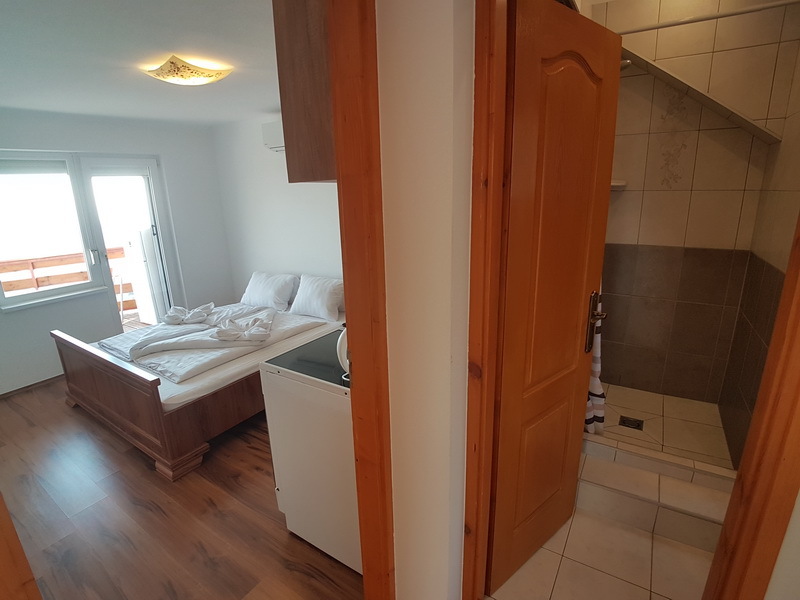 Deposit on your arrival 300 euros.